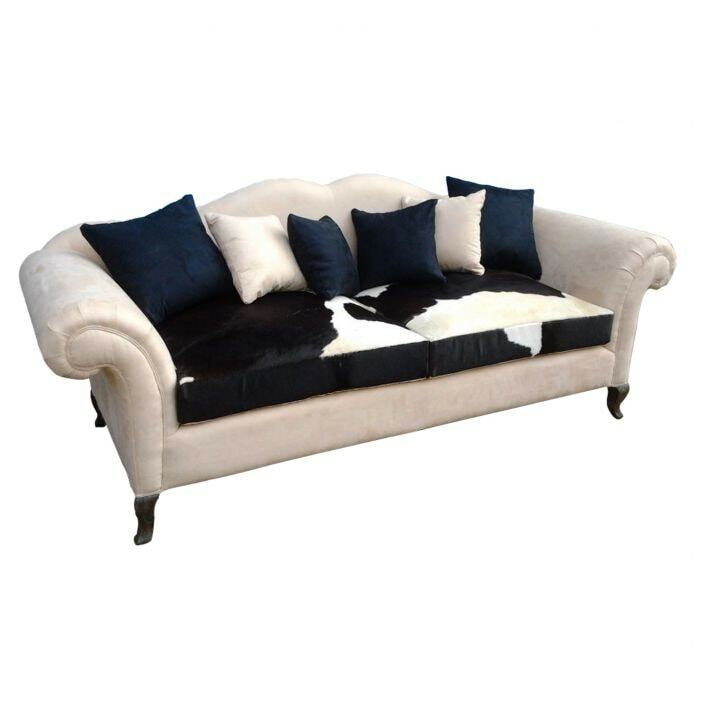 Provide additional seating to your home with this solid, hand crafted 3 seated sofa featuring a luxurious cow skin seat. This sturdy sofa works well as a means to accent existing furniture or compliment a complete overhaul. So bring some style and class to your seating arrangement, whether it be bedroom or living room, this sofa will astound.